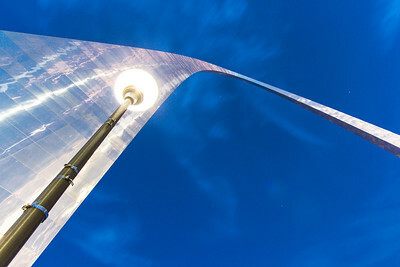 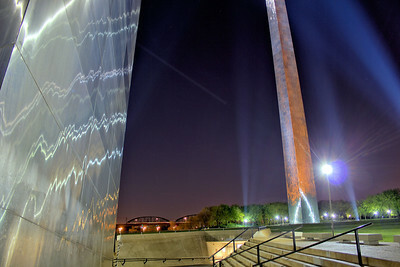 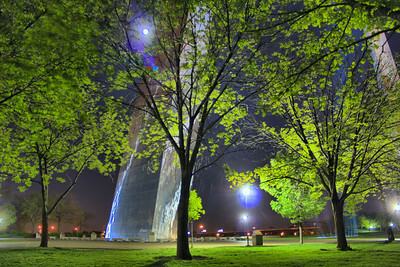 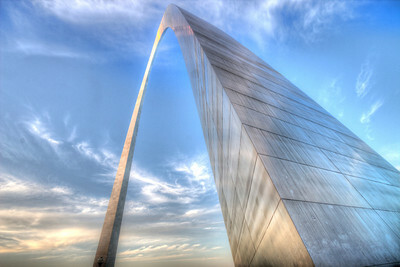 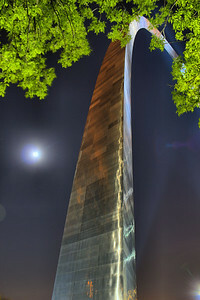 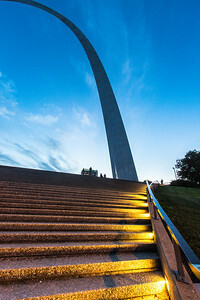 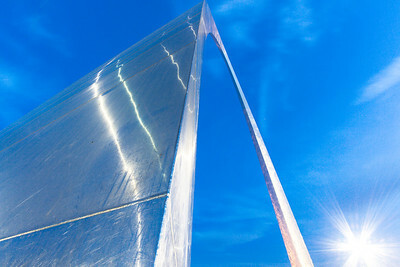 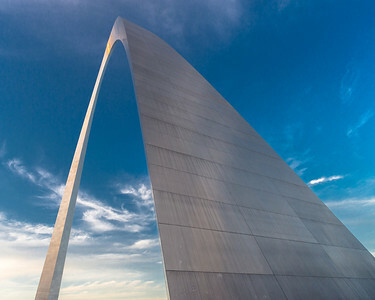 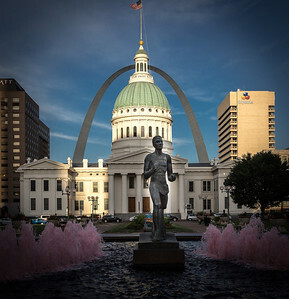 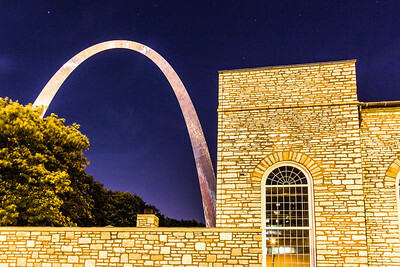 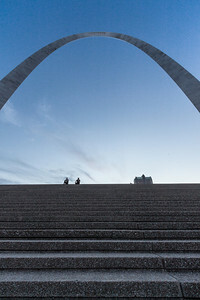 "The Gateway Arch" Taken with a full moon just peeking from behind the bright, silver sheathing. 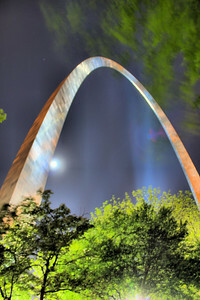 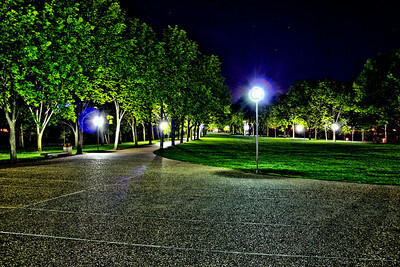 "The Gateway Arch" On a fairly quiet night this, "Through the Trees" shot also allowed for the full moon to show off it's brightness. 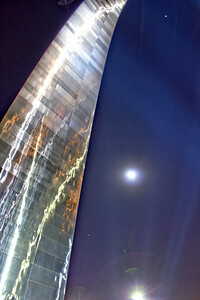 "The Gateway Arch" A close-up of the Arch with a full moon and several stars looking back at me.